Collective Architecture were commissioned by Architecture + Design Scotland to design the exhibition and graphics to launch and facilitate the consultation process for the new Scottish Architecture policy. 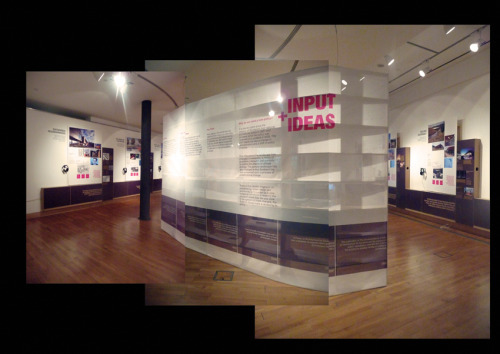 The exhibition, ’Input and Ideas: Rethinking Scotland’s Policy on Architecture and Place’ curated by A+DS and Professor Stuart McDonald showcases a number of exemplar projects by Scottish Practices. Projects were nominated by 30 individuals with unique viewpoints of Scotland’s built environment, including architects, planners, academics and clients. Nominated schemes are categorised into emerging themes and a key project from each category is explored as a case study, pulling out the catalysts, processes and lessons learnt alongside a video interview with each stakeholder. 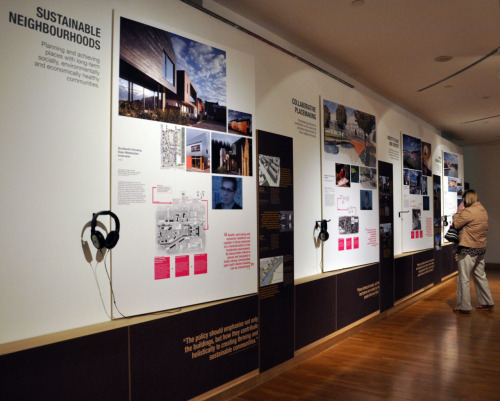 Collective Architecture worked closely with A+DS during the curation process, developing an exhibition that avoids the cliche of showcasing architectural projects as glossy images, and instead focuses on process, people and themes relevant to the policy consultation. 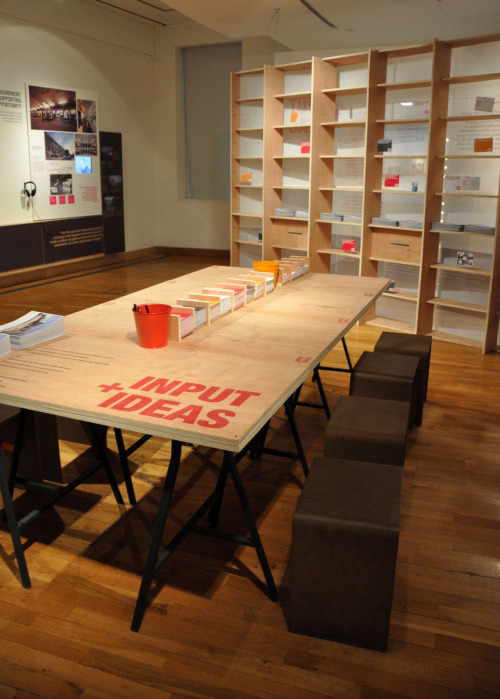 Visitors to the exhibition are invited to give their views on Scotland’s Architecture Policy, by completing postcards that are displayed on a translucent central wall. The exhibition runs from 30th May to August 2012, in Gallery 2 at The Lighthouse, Glasgow.